Our new net products are in production. With devider (partition wall). In the picture we show to the right door section. 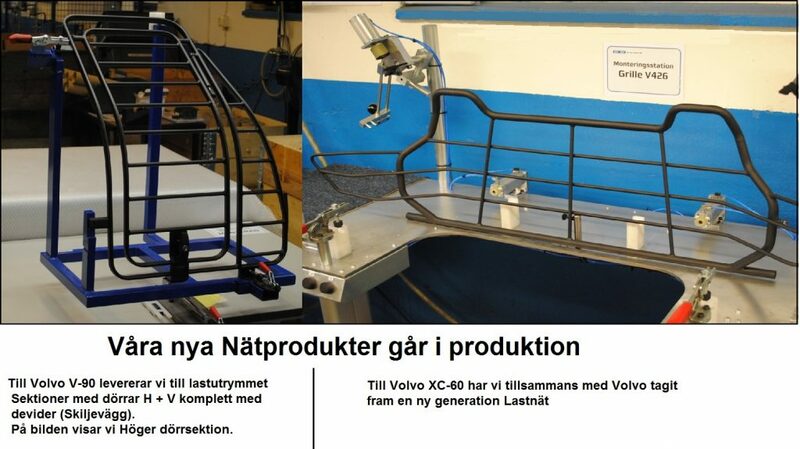 For the Volvo XC-60 we have, together with Volvo, developed a new generation of Steel Safety Net.